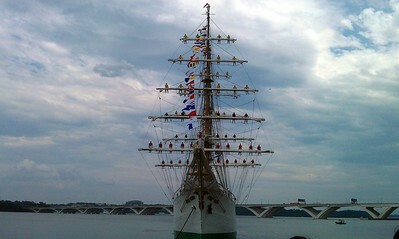 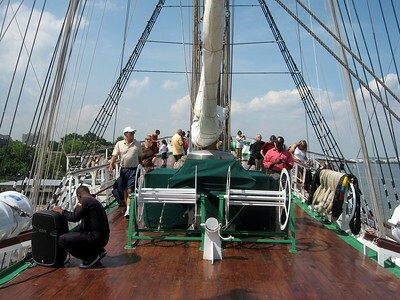 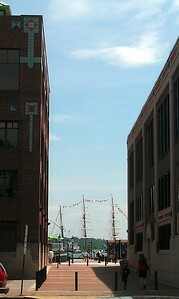 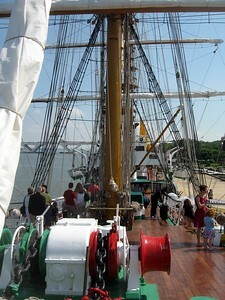 The ARC Gloria, approaching Robinson Terminal South. 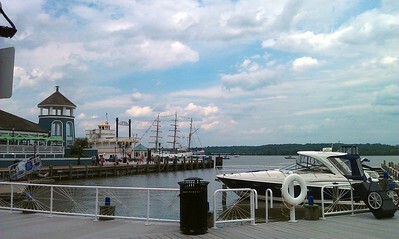 The Woodrow Wilson Memorial Bridge is visible in the background. 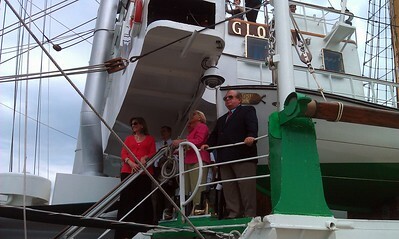 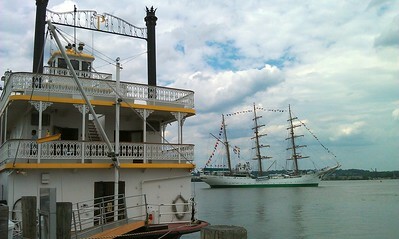 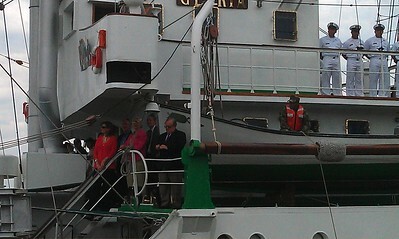 The ARC Gloria, docked at Robinson Terminal South. 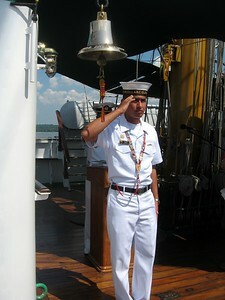 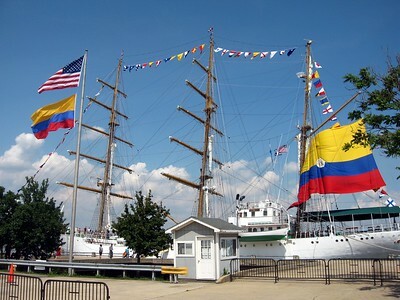 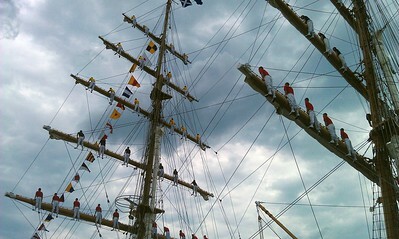 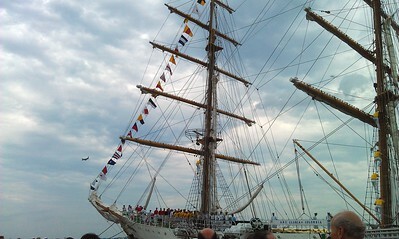 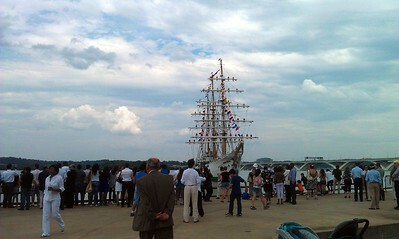 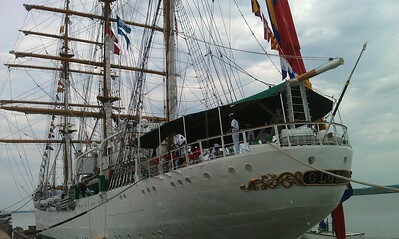 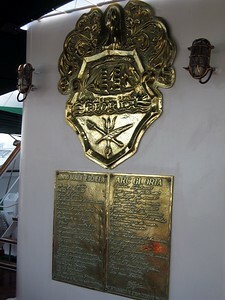 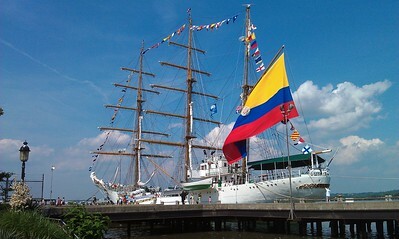 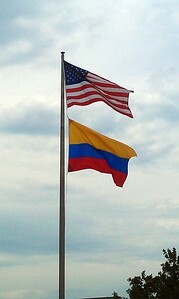 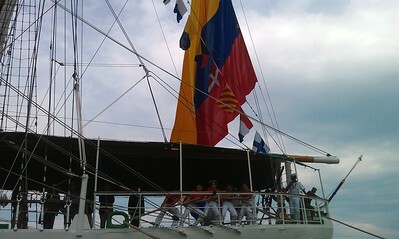 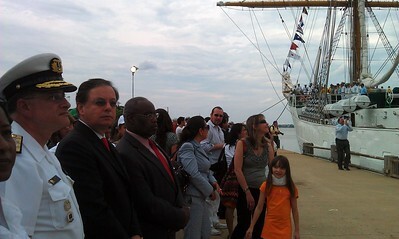 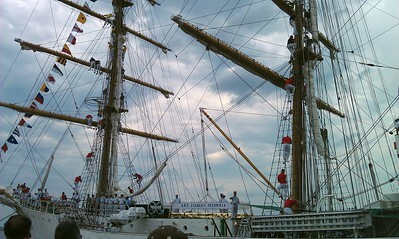 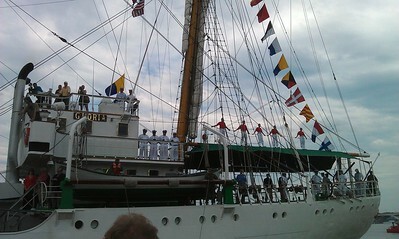 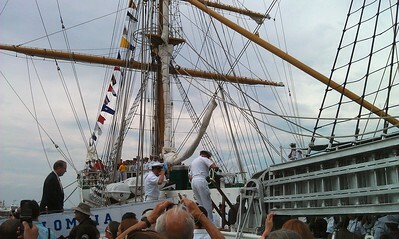 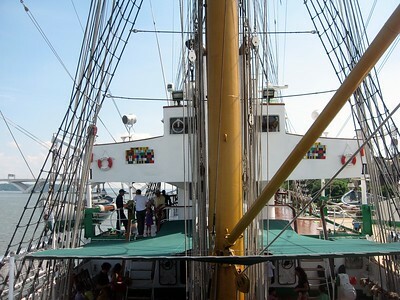 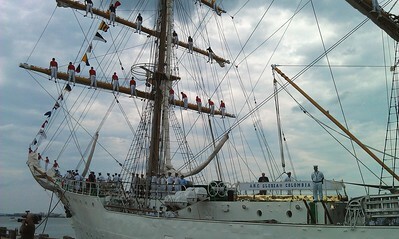 The large flag is the Naval Ensign of Colombia. 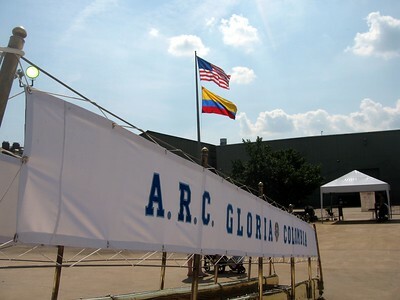 The ARC Gloria, docked at Robinson Terminal South. A plane landing at Ronald Reagan Washington National Airport is visible in the background. 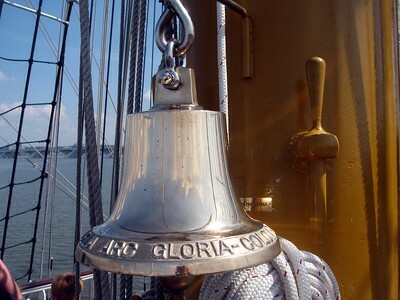 The ARC Gloria, approaching Robinson Terminal South.